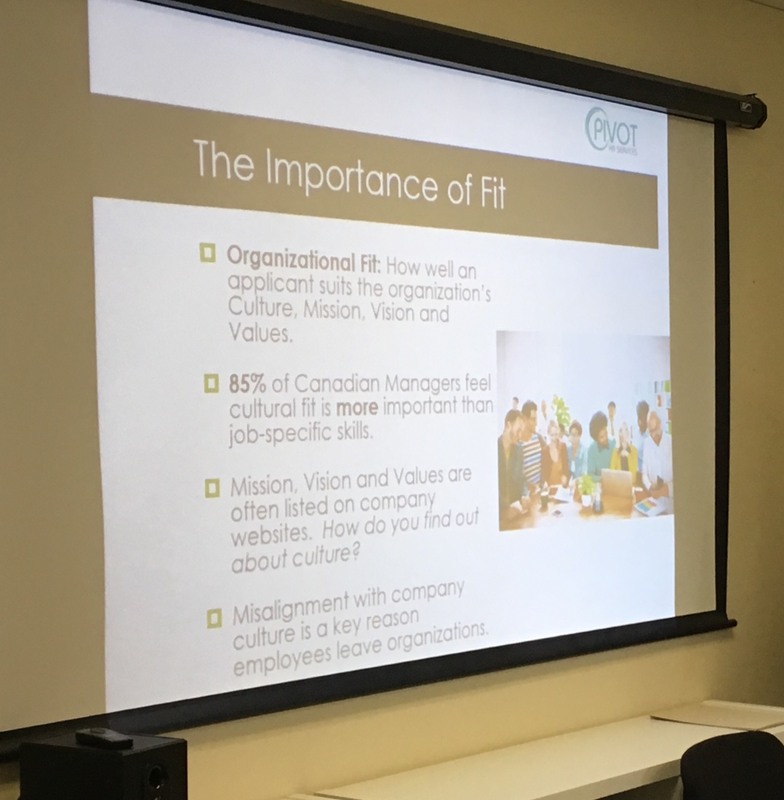 This February, we were delighted to give a volunteer presentation on how to be a success in a new job. Speaking to women in career transition in the YWCA Focus at Work program, CEO Robin Turnill covered the steps to take in the first 90 days – a critical period when turnover is most likely to happen. Pivot HR Services regularly presents on a variety of HR topics to a diversity of audiences. Stay tuned for more updates on future events at professional associations, networking groups, and corporate trainings.